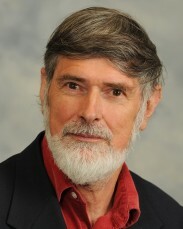 Martin Richards (Chair) is Emeritus Professor of Family Research at the University of Cambridge. Until his retirement (2005) he was Director of the Centre for Family Research where he researched parent-child relationships, family life and genetic and reproductive technologies. He is Vice-Chair of the UK Biobank Ethics and Governance Council and he previously served on the Human Genetics Commission and the Ethics and Law Committee of the Human Fertilisation and Embryology Authority. His books include, The Troubled Helix (edited with T. Marteau, Cambridge University Press, 1997), The Limits of Consent (edited with O. Corrigan and others, Oxford University Press, 2009) and Reproductive Donation: Practice, Policy and Bioethics (edited with J. Appleby and G. Pennings, Cambridge University Press, 2012). He is currently working on a history of assisted reproduction. Ross Anderson is Professor of Security Engineering at Cambridge University. He is a Fellow of the Royal Society, the Royal Academy of Engineering, the IET and the IMA, and wrote the textbook Security Engineering – A Guide to Building Dependable Distributed Systems. He has a long-standing interest in healthcare IT, having advised the BMA on the safety and privacy of clinical information systems in the 1990s and more recently having been a special advisor to the House of Commons’ Health Committee. He was an author of Database State, the Joseph Rowntree Reform Trust report which led to the cancellation of the ContactPoint children’s database. He also chairs the Foundation for Information Policy Research and is on the advisory council of the Electronic Privacy Information Centre. Stephen Hinde is the Head of Information Governance and Caldicott Guardian for the Bupa Group and is a member of the Bupa Board’s Information Governance Executive Committee. He is Chair of the Confidentiality Working Group of the Independent Healthcare Advisory Services. He sits on the National Information Governance Board for Health and Social Care (NIGB) and was elected its Deputy Chair in February 2012. He represents it on the NIGB Ethics and Confidentiality Committee and also the Wales Information Governance Board. Jane Kaye is Director of the Centre for Law, Health and Emerging Technologies (HeLEX) at the University of Oxford. Her research involves investigating the relationships between law, ethics and practice in the area of emerging technologies in health. Her main focus is on genomics with an emphasis on biobanks, privacy, data-sharing frameworks, global governance and translational research. She is on a number of Advisory Boards for large scientific projects, as well as journal editorial boards. Anneke Lucassen is Professor of Clinical Genetics and Honorary Consultant Clinical Geneticist, University of Southampton Cancer Sciences Division and The Wessex Clinical Genetics Service. Her main clinical and research interests are cancer genetics, cardiogenetics and primary care genetics including social, ethical and legal aspects. She is co-chair of the Southampton University Hospitals NHS Trust Clinical Ethics Committee and cofounder of the UK Genethics Club. Paul Matthews is Head of the Division of Brain Sciences at Imperial College, London. He is also a Fellow by Special Election of St. Edmund Hall, Oxford and holds a number of other honorary academic appointments. He received his training in neurology at Oxford, Stanford and McGill. His research focuses on the relationship between microglial activation, adaptive plasticity and neuroaxonal loss as a mechanism of disability progression in multiple sclerosis. Michael Parker is Professor of Bioethics and Director of the Ethox Centre at the University of Oxford. His main research interest is in the ethics of collaborative global health research. He leads the ethics programme of the Malaria Genomic Epidemiology Network (MalariaGEN) and, together with partners at the Wellcome Trust Major Overseas Programmes in Africa and South East Asia, he co-ordinates the Global Health Bioethics Network. Since 2001, he has been one of the co-ordinators of the Genethics Club, a national ethics forum for health professionals and researchers in the UK to discuss ethical issues arising in their practice. The forum’s work was published in the book Ethical Problems and Genetics Practice. Michael is currently Chair of the Data Access Committee of the Wellcome Trust Case-Control Consortium, Chair of the Chief Medical Officer’s Working Party on the Ethics of Genomics, and a member of the Medical Research Council’s Ethics, Regulation and Public Involvement Committee. Margaret Shotter has been a member of the UK Biobank Ethics and Governance Committee since 2008. She is a lay member of three Expert Advisory Groups reporting to the Commission on Human Medicine, and serves on several other advisory panels relating to medical research. She has broad practical experience of Research Ethics in both the UK and Canada, as a member of the MREC for Scotland and then as Associate Director (research Ethics) at the University of British Columbia. There she had overall responsibility for the ethical reviews of human subject research across the university, including its affiliated hospitals and research institutes. Prior to 2001 she worked as an academic biostatistician at the University of Edinburgh with a special interest in the research methodology of clinical trials. Geoff Watts spent five years in research before becoming a science and medical writer and broadcaster. He presented BBC Radio 4’s Medicine Now and, more recently, its science programme Leading Edge. He was a founder member of, and served for six years on, the Human Genetics Commission. Geoff chaired the Council’s Working Group on mitochondrial donation. Susan E. Wallace is Lecturer of Population and Public Health Sciences, Department of Health Sciences, University of Leicester. Her research interests include the legal and policy implications of population-based and disease-based longitudinal cohort studies and biobanks, ethical issues in biomedical research, research ethics review, and public health genomics. Currently, she is a member of the International Cancer Genome Consortium (ICGC) Ethics and Policy Committee, the UK ICGC Prostate Project Oversight Group and the Canadian Partnership for Tomorrow Project ELSI Task Force. She conducts policy research in collaboration with the UK National Child Development Study (1958 Birth Cohort) and is involved in the BioSHaRE-eu (FP7) project which focuses on the development and evaluation of tools and methods for accessing and exploiting data from biobanks and cohort studies. John Wise is the Executive Director of the Pistoia Alliance and the Programme Co-ordinator for the PRISME Forum. The Pistoia Alliance is a not-for-profit, cross-company organisation committed to lowering the barriers to innovation in Life science R&D. The PRISME Forum is a not-for-profit Pharma R&D IT leadership group focussed on the identification and palliation of “hot topics”, and the sharing of industry best practices. John has worked in life science R&D informatics in a variety of organizations including academia, the pharmaceutical Industry, a cancer research charity as well as in the technology supply side of the industry. This has provided him with direct, hands-on experience of delivering computer-based services across the life science R&D value chain. John graduated in physiology before obtaining a post-graduate certificate in education.